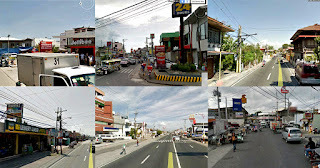 Images compiled from Google Earth. 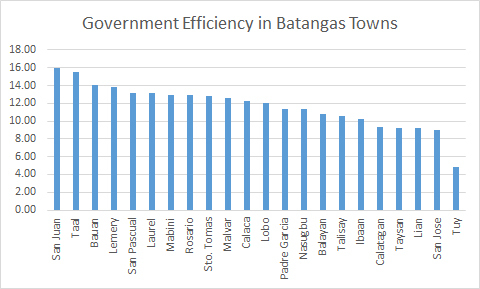 This is the follow-up article to the profiling of Batangas’ three cities. This time, I present to all readers a profiling of twenty-two municipalities of the province in terms of competitiveness. 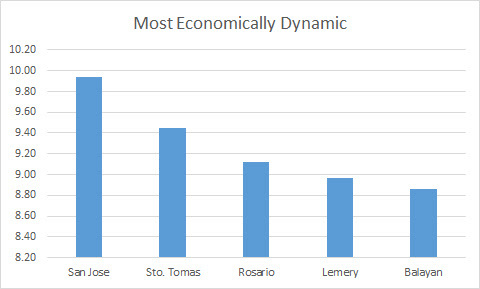 The information in this article comes from data collected for the Cities and Municipalities Competitiveness Index, an annual ranking made by the National Competitiveness Council through its regional arms. The rankings are based on three pillars identified by the council necessary for judging competitiveness: economic dynamism, government efficiency and infrastructure. 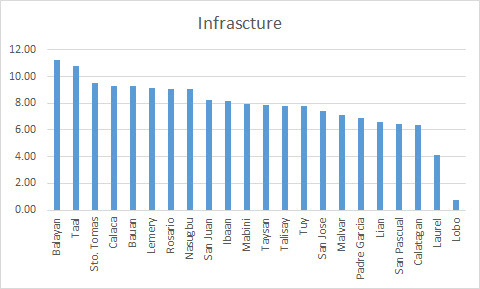 The rankings given for each municipality are nationwide for all local government units regardless of category. Data contained in this article is valid for the year 2015 and will naturally change depending on the data collected by the regional councils each passing year. San Jose is Batangas Province’s most economically dynamic municipality with a score of 9.94. It is followed by Santo Tomas (9.45), Rosario (9.12), Lemery (8.97) and Balayan (8.86) in the top five. 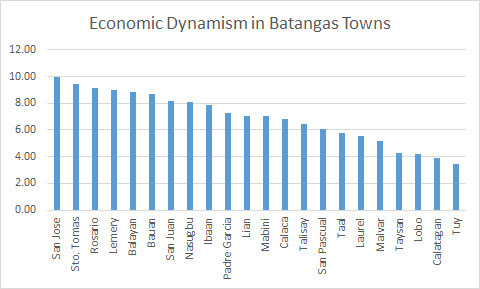 Meanwhile, Tuy with a score of 3.48 is the least economically dynamic municipality in Batangas. 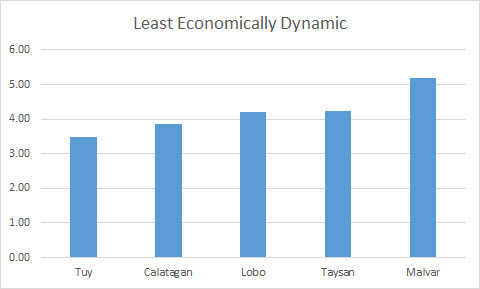 It is followed by Calatagan (3.87), Lobo (4.21), Taysan (4.24) and Malvar (5.20) as the five least dynamic towns. Tuy continues to hold up the rest of the list with a score of 4.83, bottom among the twenty-two. 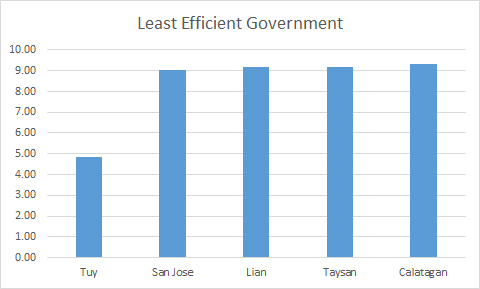 Meanwhile, San Jose’s fine score in economic dynamism is negated by its 9.05 in government efficiency, next to Tuy among the lowest in the province. The remaining towns with the least efficient governments are Lian (9.17), Taysan (9.20) and Calatagan (9.24). 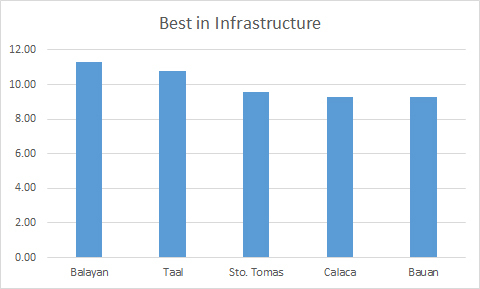 Balayan has the best infrastructure among the municipalities of Batangas with a score of 11.28, followed by Taal (10.77), Santo Tomas (9.54), Calaca (9.28) and Bauan (9.27) among the top five. 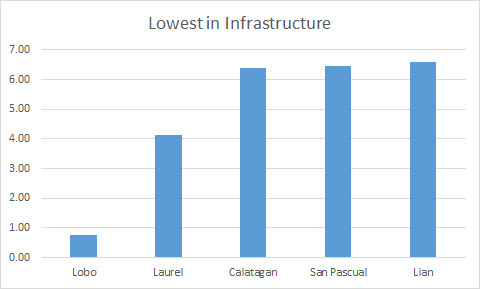 Meanwhile, the towns with the lowest scores in terms of infrastructure are Lobo (0.75), Laurel (4.14), Calatagan (6.39), San Pascual (6.46) and Lian (6.60). 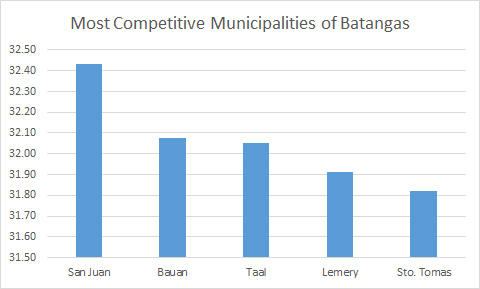 With all the scores for each three pillars collated, we find that San Juan is the province of Batangas’ most competitive municipality with a total score of 32.43, followed by Bauan (32.08), Taal (32.05), Lemery (31.91) and Santo Tomas (31.82) among the top five. 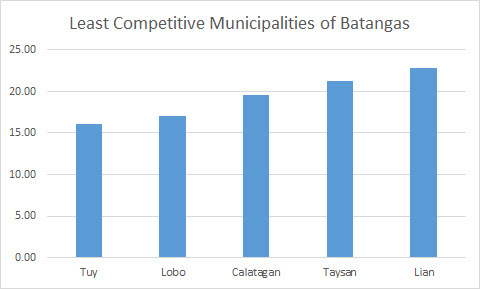 Meanwhile, Batangas’ least competitive municipalities based on their overall scores are Tuy (16.12), Lobo (17.01), Calatagan (19.59), Taysan (21.32) and Lian (22.84). 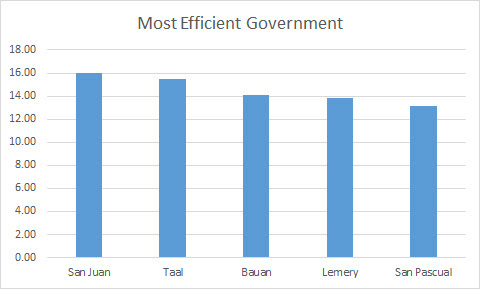 * Nationwide among all Local Government Units, regardless of category. For those interested in verifying the information contained in this article or who wish to obtain more information about the competitiveness index, please follow this link to the Cities and Municipalities Competitive Index official web site. 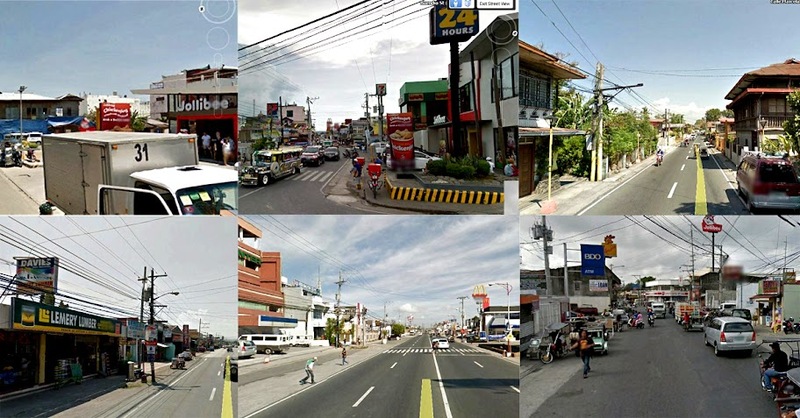 To see the profiling of the cities of Batangas, please click the link to the right below.